IRVINE, Calif. – August 15, 2017 – For over 50 years Food For Life, Inc. has led the natural food industry providing over 60 varieties of baked goods, including pastas, breads, tortillas, cereals and more. Food for Life is committed to promoting health and dedicated to delivering products that fuel the body, promote wellness, and assure peace of mind. 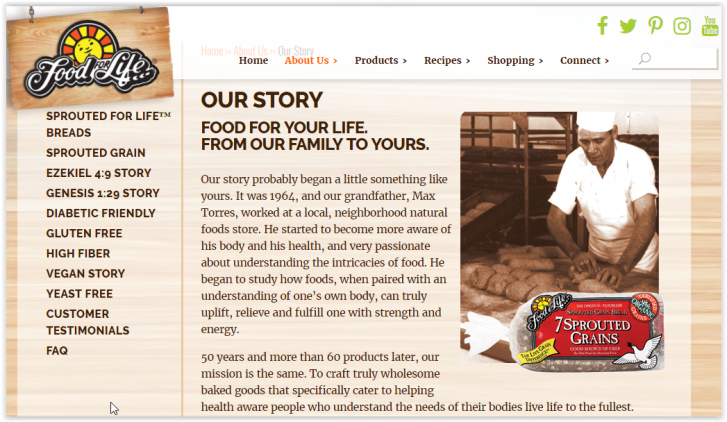 Food For Life partners with Trinet to redesign its website. Trinet integrates a markedly improved content marketing strategy. 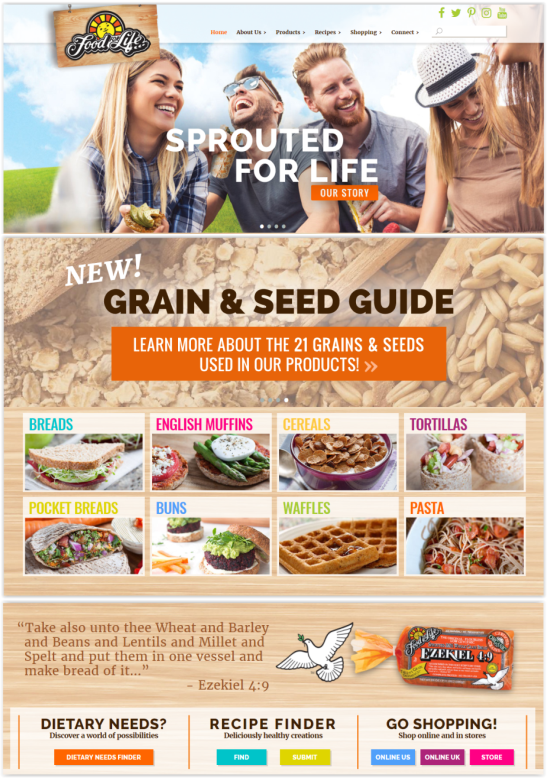 The new website includes content that is both highly informative and entertaining -- highlighting the health benefits of baked goods packed with whole grains and seeds. In addition to Food For Life newsletters the website features a video recipe collection, a recipe index, and a detailed grain and seed guide. Food For Life’s social media platforms are also integrated into its website inviting visitors to bring the conversation home. Trinet continues to provide strategic website consulting, digital marketing services including email marketing and search engine optimization (SEO), as well as on-going best practice updates to ensure Food for Life continues to maximize their digital presence. The website is built on Drupal (CMS), with special tools that allow Food for Life to directly manage their website with ease. Food for Life products can be found at all major grocers and health food stores, including Ralph’s, Albertson’s, Sprouts, Whole Foods, Gelson’s Mother’s Market, and many more. Trinet Internet Solutions, Inc. is a full service digital firm specializing in helping clients grow their organization through Web Strategy, Website Design and Development, Mobile Apps, Internet Connected TV Apps, and Online Marketing including Social Media Marketing, Online Fundraising, Email Marketing, Search Engine Optimization (SEO), Search Engine Marketing (SEM), and more. With 23 years of experience, over 1500 award-winning digital projects, and more than 95 industry awards – trust Trinet to take your digital initiatives to the next level. To learn more, please visit www.trinetsolutions.com. Call today and get started 949.442.8900.